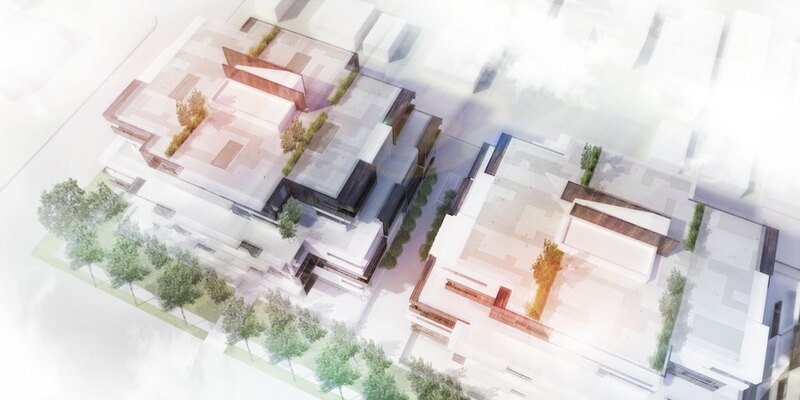 A proposed market residential redevelopment on Oak Street in South Vancouver will be one of the largest land assembly projects in the city outside of the Cambie Street Corridor and city centre area. 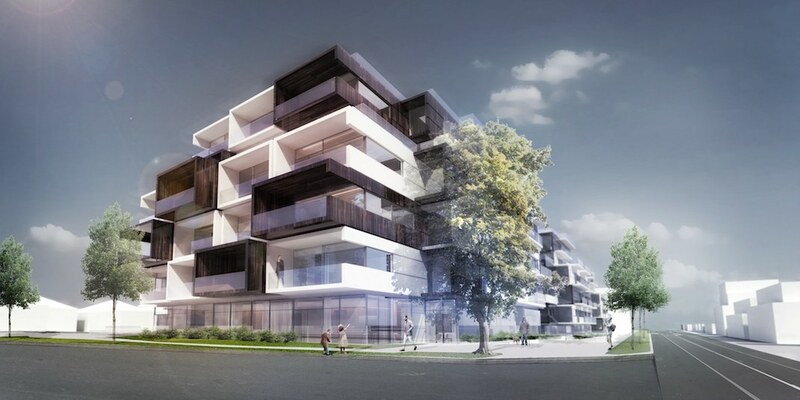 Arno Matis Architecture has submitted a rezoning application to the municipal government to redevelop an amalgamated swath of single-family lots on a site from the southeast corner of West 64th Avenue and Oak Street to mid-block on Oak Street – on 988 West 64th Avenue and 8030-8130 Oak Street. 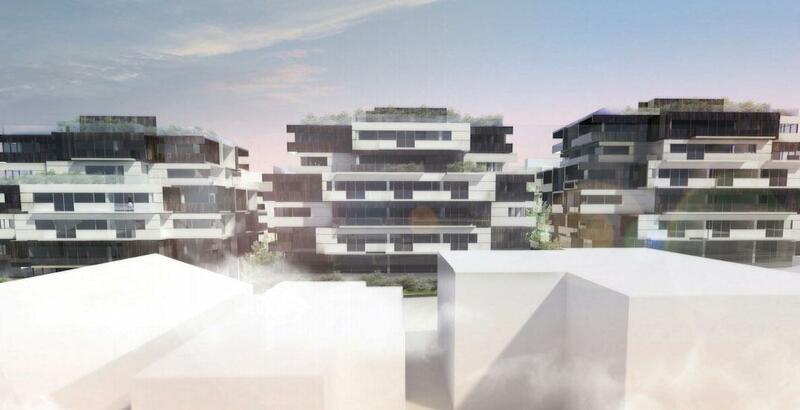 The proposal calls for 130 market residential units across three, 70-ft-tall buildings with six storeys plus a rooftop space with private decks. The unit allocation is divided as 31 studio units, 49 one-bedroom units, 32 two-bedroom units, four two-bedroom units with den, and 14 three-bedroom units. The total floor area on the 40,000-sq-ft development site is 176,000 sq. ft., giving the project a floor space ratio (FSR) density of 2.5 FSR. There will also be two levels of underground parking to create 151 vehicle parking stalls and 169 bicycle spaces. The project is being considered under the City of Vancouver’s Marpole Community Plan.